Write to us describing your match and interest. As our ML offerings to partners scales, we are analysing 100s of TV channels in real time - often in remote location at enterprise data centers. Our servers are also pounded with intense user data. We are looking for DevOps Engineers - that like to work in an extremely driven startup, manage our operations and create tools to automate and scale up our operations. Several millions of hours of TV viewing time goes through Sensara. Our deep knowledge of what is happening of TV is changing how the TV industry will work. Our insights are impacting content creation, content licensing strategy, marketing, ad media planning, etc. We are looking for analytics professionals that know how to work with OLAP systems, R, Python etc. with a penchant to find interesting patterns, and write great reports. We are looking for people that understand semantic ontologies, knowledge graphs, topic tagging, copy editing, categorisation to assist us in building and maintaining our TV Knowledge Graph. 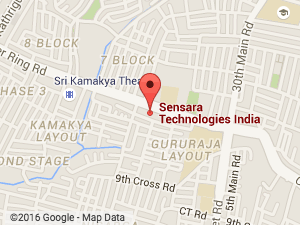 Sensara's knowledge graph is self-learning, but needs expert oversight as it gets filled out. Ideal candidates for this will be BA with Literature/Languages background, with a penchat for writing and copy editing. Knowledge of the Television and Brands industry will be a huge plus point. © Sensara Inc. All rights reserved.